In the wake of globalization and liberalization policy, business ethics phenomenon in globalised business environment has become a critical issue that has attracted business and management research scholars to engage on crucial debates and discussion at both local as well as international forum. This is because globalization policy as it were has brought about business uncertainties, changing demographics, and a push for diversity that has resulted into corporate business cultures that are less homogeneous and increasingly competitive. 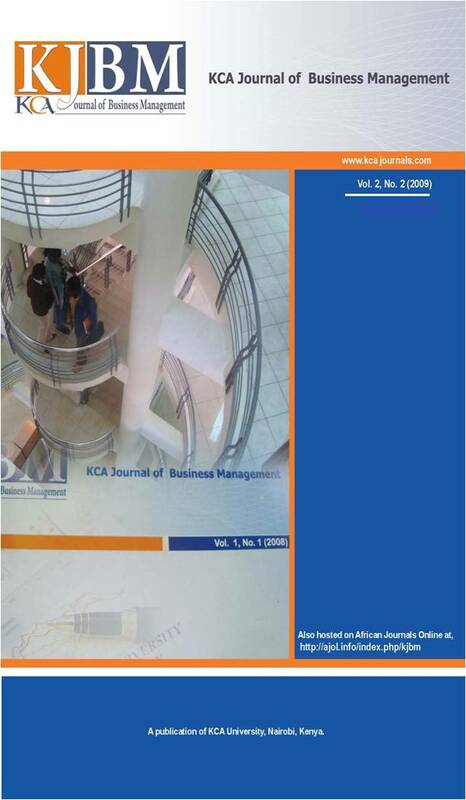 This paper therefore finds its relevance in the day-to-day violations of business ethics in the globalised business environment and contends that business organizations must take responsibility of these violations or omit at their own peril. The malpractices that we continue to see in business world are centered upon the self-indulgent, introspective and myopic perspectives of the business organizations that are not able to transform their thoughts to consider all possible perceptions and ramifications of their actions. Despite the diverse ideals of relativism, imperialism and universalism as philosophies geared towards finding solutions to ethical dilemmas at global level, we contend that they are much far away from the solution. The impediment of global business ethics is the phenomenon that, unlike established laws whose violation is directly punishable in a court of law, business ethics is self-regulatory. What remains difficult is to determine exactly what is ethical or not ethical. Though an alternative approach-the relationship approach has been suggested in this article, we treat it as a traditional approach that has generated a glimpse support from current body of literatures.